… and where some kind person wrote an article about. It was raining when we got up in the morning and still raining when we reached the meeting place at Giesing. Despite the weather, 21 people had gathered. To the embarrassment of the organiser however, there were fewer cars than expected and for the first time in 25 years not enough places for all. 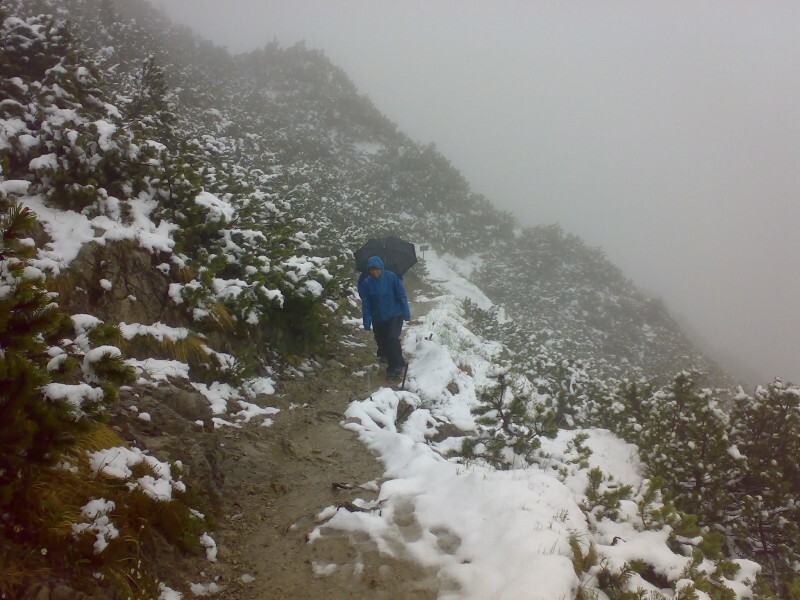 Selflessly, three people said that they would perhaps prefer to stay at home with a cup of hot chocolate rather than trudge up and down a wet mountain. 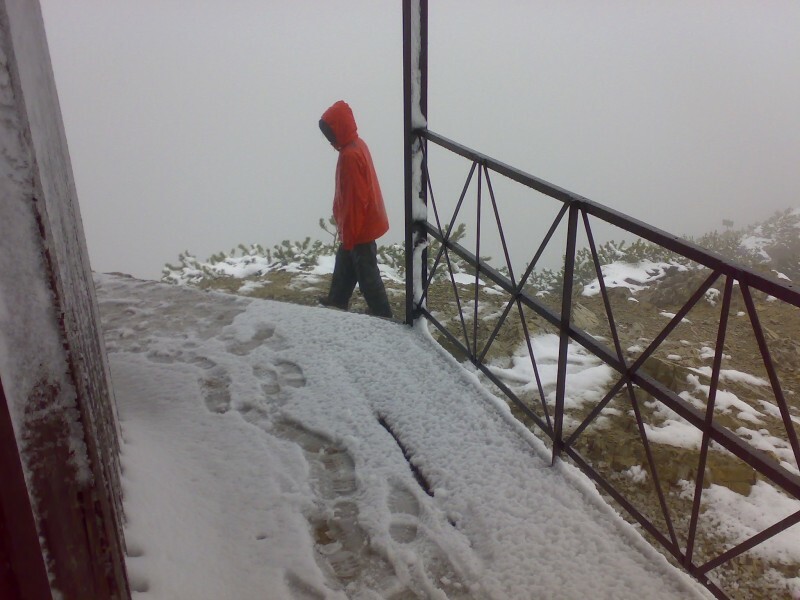 Some would say they made the optimal decision, because it rained all the way up, snowed at the summit (where fog obscured the view) and rained all the way down. But at the end of the day as we watched the rain through the windows of the 'Café Grauer Bär', the 18 walkers decided that they had had a great time and would do it again next year. - Even if it rains. A pity that we had no „ticker“ to tell us just how many friends – current and new – looked in at our GEA stand at the Newcomers Festival this year. Over 300 is my guess. I don’t know about the others on our 15-strong band of helpers, but personally, I think by the end I had talked to people about every event, regular or one-off, that we do! I wonder what Darryl is explaining here? 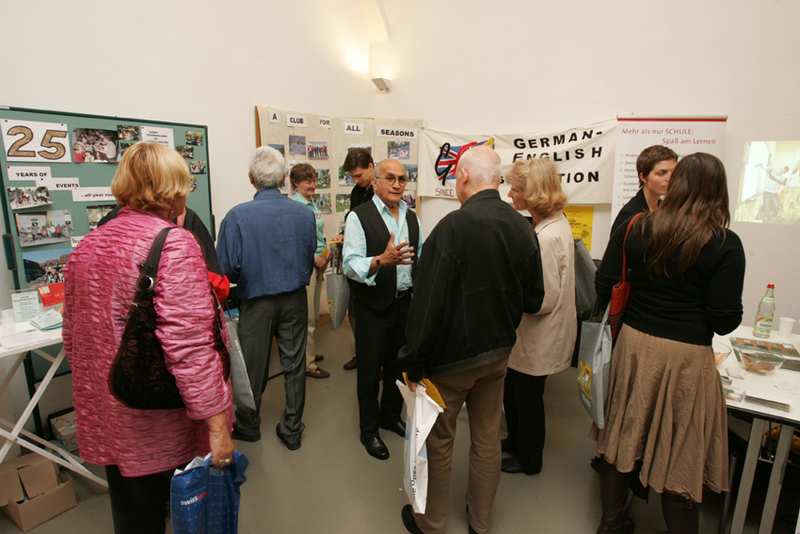 At this exhibition, community feeling rather than selling of products dominated the whole event. There was really something for everyone. And everyone was allowed to savour according to their taste. I think you missed something if you were not there. Even if you don’t feel you urgently need the relocation advice and all the other 66 Munich services offered from authorities, businesses, groups and churches alike. Yes, it was crowded: it was noisy; sometimes hectic. But there was interesting information for all: You meet hoards of interesting people at the Praterinsel. Susan Turner reviews an event organised by Maggie Pemberton where international recital organist Stefan Moser provided the organ accompaniment to the silent movie "Metropolis" - a science fiction film from the 1920s by Fritz Lang (director) - on the historic Steinmeyer organ in St. Lukas in Munich. Considering that the Lukaskirche on Mariannenplatz seats up to 1,800 people, you can fairly say that the showing of “Metropolis” on the 11th of March, 2007 played to a full-house audience. Certainly all the pews in front of the massive screen were filled - the largest audience yet I have witnessed at an organ recital in a Munich church. - Yes, it used the church organ, but for a programme combining a classic silent movie with an innovative interpretation of its supporting musical score. 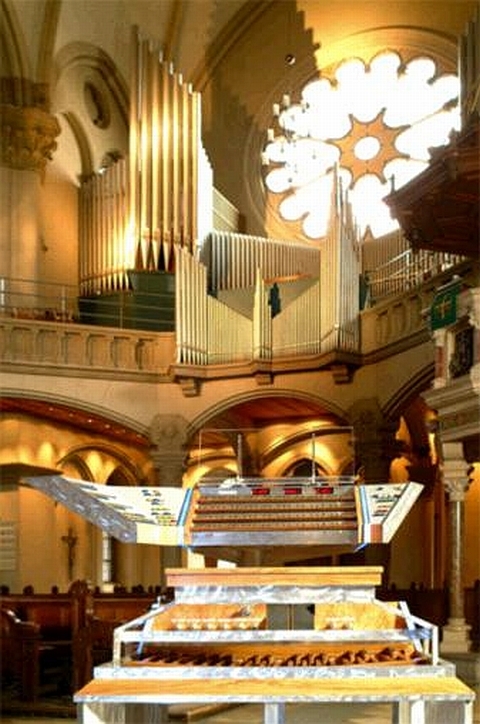 This combination appealed to cinema-goers, science-fiction fans and organ music lovers alike. 14 GEA members and friends were among the appreciative audience, which also held representatives and officials from Munich political bodies, who spent nearly two hours of their Sunday enthralled by the combination of 1920’s view of things to come and the music which utilized state-of-the-art technology to bind the impressive tones of the organ into a fittingly grand framework for the Fritz Lang masterpiece. Honest human endeavour proves in the ending of the film to be every bit as important as technological achievement. 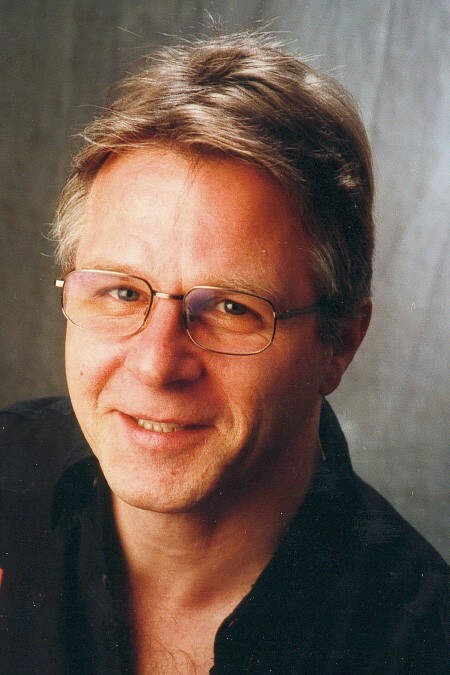 A sentiment reflected by the remarkable music virtuoso Stefan Moser commanded from the pipes of the 1967-restored organ over just two cables from his specialized, gleaming console in front to the audience. A sight to behold, much enjoyed by all present! If you couldn’t be there this time - look out for the next one. 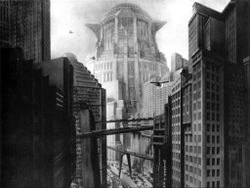 For more information about the film see the 'Metropolis' page on Wikipedia. Hover with the mouse curser over images to enlarge.